Only Google has more visitors than Facebook. This makes Facebook the most commonly used Social Network on the planet. So, as a small business owner you really should be on Facebook. Facebook Marketing is your first step to a great Social Media Campaign. Visitors to Facebook also tend to spend a lot of time on the site. Each of these billion plus users is a potential new customer. So, it would be crazy to waste the opportunity that the site offers. More and more people, use the web to find for local businesses. They also spend time reading reviews, gathering info and making judgement on where to spend their money. The team at Facebook know this. That is why Business pages and communities are becoming more and more important on the Social Media Network. It’s also the reason why Facebook Marketing is a rapidly growing industry. As a result, the global giant is regularly releasing new features to help small businesses connect with a vast and growing community of users. Meanwhile, it’s becoming easier for users to find local small businesses on the site. That is why it’s so important for your brand and business to be on Facebook. A good presence on the site can help your brand engage new and existing customers. It can help you turn these potential clients in to fans and evangelists, and help grow your business’ audience. With a little planning and good preparation, it’s possibly to acheive great results. Increasing brand awareness and loyalty and even sales and profit are all realistic goals with very little investment. But, not taking the necessary steps to get your campaign on point could lead to disaster. Follow our ‘Social Media Marketing on Facebook’ tips below, and everything should go to plan. A common mistake is for Small Business owners to create a user profile in the name of their brand. Not only is this against Facebook t&c’s it’ll also seriously limit how many people you can connect with. Plus it just looks bad. Some first time Social Media Marketers make the mistake of creating a group on Facebook. Groups are best used for communities, where everyone has an equal(ish) voice. The best option for any small business or personal brand is to create a page. This allows you to control the content that’s sent out to your followers. A Facebook page represents your business, and only your business. Sure, it allows users to have a say, but this content doesn’t dilute your message like it would on a group. A page is specifically created for your business and brand. It’s designed to help you find new people to spread the values and benefits of your brand to. There are so many useful tools built in. You can grow your audience, communicate with potential clients. Your followers can contact you and even leave reviews for others to see. You can track your user numbers and compare them to competitors or see how many likes and shares your posts got. Best of all, Facebook Marketing enables you to sell your brand and message to people who have told you they are interested! So, make sure your page reflects the ethos and quality of your business brand. Use your company logo for the main photo on your page. Design or buy a cover image that looks professional and shows off your brand and what you do. I can’t stress enough how important it is to use great images. This is your opportunity to make a good impression. If you’re not at least a ‘good designer’ I’d recommend hiring a professional. If your budget is small use our image guide below, or buy a template from one of the many online marketplaces. Finally, be sure to add a few snappy sentences to describe your brand, and choose a memorable Web address. Facebook Page URLs appear in the form of www.facebook.com/[yourbrand]. Then add your services to the relevant section. Finally make use of the ‘Call to action’ feature (button). This is a great attention grabber and makes it easy for visitors to call you, email you, or go to your website. There’s very little point in creating a Facebook Page and then not using properly. It’ll be so much more rewarding, if you create and post relevant and interesting content. Doing so is the difference between a dead unloved page and one with strong & growing follower numbers and sales. This really is the key to a successful Facebook Marketing Campaign. Make sure your posts aren’t personal. You might be your brand, but your followers want to know about your great business not your bad day. Remember that posts that lack personality completely aren’t usually very engaging. Great visual, and meaningful content is always the most popular. It gets shared far more readily than boring updates without pictures or character. But, sometimes we just don’t have the time, money, or skill to create unique content. It’s ok to repost other peoples content, but make sure its relevant. It’s also a good idea to make sure you give full credit for content. This not only looks better, its also good Karma. Remember, if you have to download content in order to share it; It’s probably theft! Followers of your page will see your posts in their Facebook news feed. This means they’ve given you a huge opportunity to deliver your message(s) to them directly. You can share your content at will, and if it’s relevant, engaging and even entertaining, they’ll share it with their friends too! The most valuable posts to your small business brand are those which prompt people to like, comment on and share. These are usually posts containing strong images and short text. So you need to look at how you can add great visual content to your page. This can take the form of cool photos of your products or shop, nice graphics or a short ‘action’ video. Once you’ve started creating and sharing great content, you can use your page insights panel to see what works best. This great free tool is part of your Facebook Page’s admin. It takes the guess work out of running your page. It does this by showing like, share, view and comment figures for everyone one of your posts. You can see exactly what works best on your page for your followers! So, you’ve really no excuse for sending out content that nobody wants to see. Put simply, your Facebook Marketing success relies on getting familiar with this part of your page. To put it simply; great content is the key to a great Facebook Marketing audience. Following the tips in the section above will mean that you will be sending out content that your followers love. They’ll then comment and like your posts, which helps build a community and get your followers talking to one another. This community suplements your posts and keeps your brand at the fore of their thoughts. If you get things right, your followers will be regularly sharing your content to their own timeline and groups. This means that your fans will be helping you spread your message to a much bigger number of people. This is like a traditional recommendation since they are seeing the content on their friends timeline. So there’s a strong probability that people will like your page after seeing their friend repost your content. There are other ways to increase your page likes. The ‘Build Audience’ section in your Page’s Admin will show you some options to get things moving. Here you’ll find tools to invite your Facebook friends -and others via email- to like your page. You can also try using paid adverts on Facebook, to attract users to your page. This method can prove costly and the results are often questionable. So I’d only recommend doing this for a short time, perhaps when you first launch your page, so as to boost numbers. You can also use non Facebook and ‘offline’ channels to promote your page. Add a link or a like button on your website, or advertise your page on flyers and posters. You could even put your page URL on your company van or shop window. How about adding it to your email signature? It’s so important that you set your Facebook Page URL to something that makes sense, is relevant and easy to remember! This is a quick point to make but is arguably one of the most important. Don’t let your followers forget about you! It doesn’t matter how great your products are, how cool your brand is, or what value you offer. If people forget about you, they will move on to your competitors and spend their money with them. So, how do you stay in their thoughs? The answer is simple; Stay in touch. If you post content and news to your page on a regular basis, your page and your content will appears on your fans news feed. If they keep seeing your posts, they can’t forget about you. So, don’t let them forget you. However, don’t get carried away and start annoying your followers. Two or three posts a week should be enough and if necessary. If you run out of things to post, repost your own content after a period of time. This has the added bonus of getting content seen by more people. If you’re not too great at scheduling posts, or you want to simplify things then take a look at Buffer.com. It lets you schedule content for all the major Social Media Platforms. For a successful Facebook Marketing campaign it’s important to try things out and establish the right types of content to post and how often you should post. Make use of the tools availabe in Facebook to see what fits your audience best. What works for one page or brand won’t work for another. You could be posting the right content, but on the wrong day or time. You might be posting to often or not often enough. So try different techniques and stay in contact weith your audience. Keep them engaged with great content that’s relevant and adds value to their day. Don’t make the mistake of letting you page die a slow death. An ghost town page can be deadly to your brand. Follow the rest of this series of articles, for more info and advice on how to get the best from your Social Media Marketing campaigns. 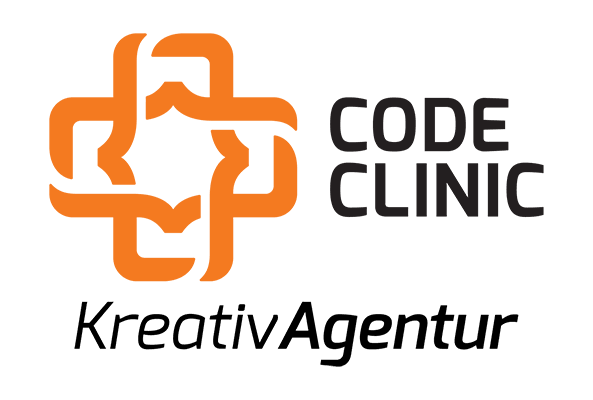 If you need some help with your Facebook Marketing give Code Clinic a call. If you have any questions about Facebook Marketing, or have anything to add leave me a comment below. These days everyone is on social media, that is why it is beneficial to all business and startups to rely on social media for better business promotions. It is more comfortable and cost effective option and online marketing costs less than offline marketing.